Update August 31 - Don't forget to redeem this one-day coupon this Friday! Originally posted July 31 - Free Friday coupons are back! 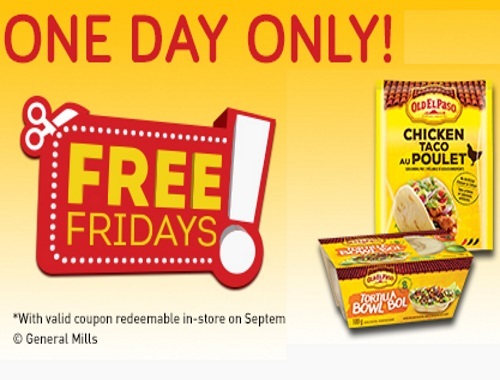 Get a Free Old El Paso Chicken Taco Seasoning Pouch 24g with the purchase of one Old El Paso Tortilla Bowl (any size). This coupon is redeemable on one day only, Friday September 1, 2017. Please note you can get a second set of this coupon here.